Leap into the third and final season where the felonious and foul must be stopped to keep Gotham safe, and a newly formed Terrific Trio must turn chaos to calm! 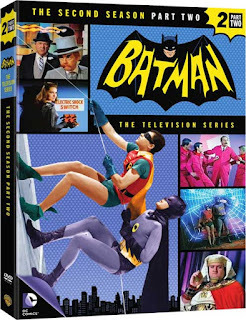 With rogue wrongdoers like the sly Siren, lethal Louie The Lilac and unethical Egghead running rampant, Batman (Adam West), Robin (Burt Ward) and Batgirl (Yvonne Craig) have their Super Hero hands full. 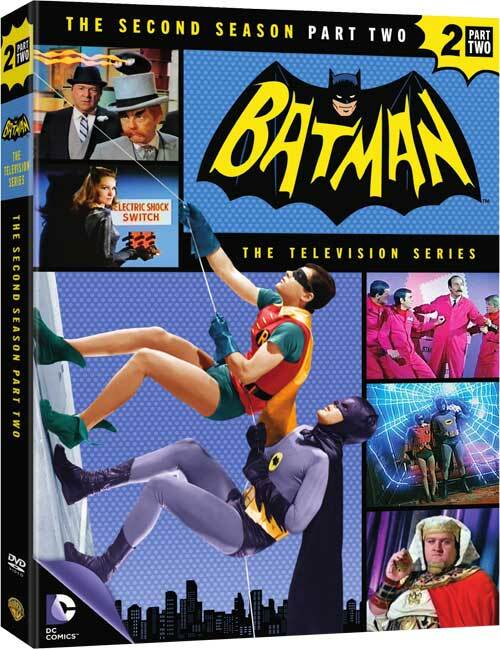 Now completely re-mastered, all the originality, crime-fighting action and arch-villainy of special guest villains like Milton Berle, Eartha Kitt, and Joan Collins, are on DVD in pristine splendor like never before — for those who were there, and a new generation of Bat-fans! 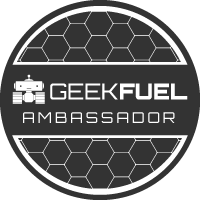 Well If you have been a reader of Geeky Girl Reviews for the past few months you will know that I do love anything Batman and that I have reviewed season 2 of this series a few months ago. Like all the other seasons of this show, it is cheesy but I do enjoy this show and yes I did enjoy the third season. I am so happy that it is finally on DVD because now I can watch it again in the future if I so wish. If you or someone you know are long time fans of Batman and love old school shows then I think this is just perfect.